Six Main Benefits of Zumba for Elderly People | West Coast Nursing Ventura, Inc.
You know that you need to exercise; however, you stopped many years ago because you couldn’t find time for it. But what about a workout which integrates dance moves? Isn’t that fun? We are talking about zumba. Zumba fitness classes have plenty of benefits. And each class’ energizing music will get you moving toward an active, healthier lifestyle. Even if zumba is low-impact, it still gets the heart pumping. Everyone needs to have a healthy and strong heart during their senior years. However, do not be afraid because you can take part in this class since it is quite simple to follow and so much fun. As you will be moving your whole body, every dance step helps in circulating your blood better through your body and increasing your heart rate. Zumba is an excellent workout which aids in decreasing the risk of stroke and heart attack. As you age, it is normal not to have your previous mobility anymore. 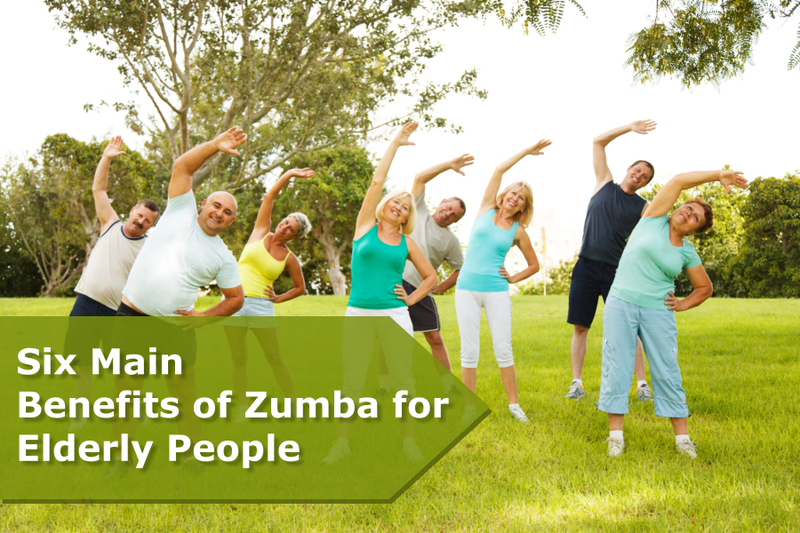 Your posture, coordination and balance will be enhanced by participating in zumba classes. Additionally, attending such classes routinely will increase your range of motion, stamina, flexibility, agility and energy. Over time, these workouts will aid in decreasing painful arthritis and sore joints. In your senior years, your skills to concentrate and pay attention can grow weaker. This is normal for everybody. Performing any kind of exercise can aid in improving the flow of oxygen-rich blood that offers positive effects for elderly people’s cognitive function. Often, a zumba class is composed of a number of participants. This lets you meet and interact with different people, perhaps make new friends. Attending a zumba class makes you a part of an entertaining exercise program. The classes’ dance routines will help in burning off calories. As you burn calories, you will also burn off excess fat. Exercising for thirty minutes with zumba helps you wipe out around 250-300 calories. You can expect to lose weight in no time and this means less joints stress. Also, your heart does not have to work as hard and you generally become healthier. Older people need to have strong bones and muscles and zumba is the way to do it. You make use of many muscles while doing the zumba steps that in turn create stronger muscles throughout the body. We at West Coast Nursing Ventura, Inc., a reliable provider of home health care in Hillcrest Drive Thousand Oaks CA believe that physical activities like zumba are the way to go to improve our seniors’ overall health and wellbeing. Our caregivers can accompany you to your zumba classes or to other appointments. Do you go to zumba classes? How was your experience? Share it to us at the comments below. This entry was posted in Home Health Care and tagged Home Health, home health care in Hillcrest Drive Thousand Oaks CA, Home Health Care Services, Speech Therapy. Bookmark the permalink. After checking out a number of the blog articles on your blog, I really appreciate your technique of writing a blog.